This report outlines the fact that consumers are entitled to a free credit report each year from the 3 major credit bureaus – there is no charge and no obligation to leave a credit card number. 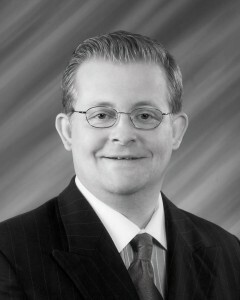 Consumers can simply go to AnnualCreditReport.com and get their free report. It goes on to say that “Free Credit Report Sites” such as www.creditscorequick.com are misleading consumers because the credit report providers want them to enroll in a service that will give them access to their credit reports year-round and will alert them when there’s activity on their credit reports. That’s all well and good, but the article and the warning both fail to mention three important points. The first is that no consumer is obligated to continue the service when they obtain a free credit report from www.creditscorequick.com or any similar website. They can get their free credit report and then cancel the service with no payment whatsoever. The next is that the free reports from Annual Credit Report contain just the information, without analysis or credit scores. If the consumer wants to know their credit scores, they do have to pay. Since knowing your credit score is important, their free service is sadly lacking. Finally, checking your credit report only once per year is not good financial management. With identity theft running rampant, a consumer could find himself or herself in a financial and legal morass by the end of a year. By checking monthly and signing up for alerts, consumers can put a fast stop on identity theft – saving themselves thousands of dollars and months of red tape. In addition, consumers who keep a close watch on their credit reports can catch and correct errors quickly. Those who wait to see their credit reports until they need to use credit are often shocked to learn that a mistake has lowered their credit score – making it impossible to obtain credit at a reasonable interest rate. Even representatives from FICO admit that over 70% of all credit reports contain errors – and that those errors usually have a negative impact on credit scores. And that is important. Everyone from the credit card issuer to the mortgage lender to a potential employer or a rental manager will judge a consumer on those scores. But most people don’t know what to do to improve them. The service offered by credit report providers such as Identity Guard tells consumers the answers – giving a clear reason why a score is lower than it might be. This gives consumers the opportunity to make adjustments and raise their credit scores before they need to use credit. CreditScoreQuick.com your resource for credit reports, credit cards, loans and credit news. Does bad credit go away? Having bad credit can be a nightmare. Especially if you don’t have any money saved. You might find yourself in need of a loan, which will require use of your credit. I assure you that there will be a point in your life where your credit will be required of you. It is quite possible that you are in this very predicament now. 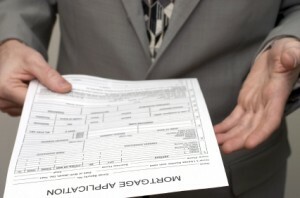 All of us have read that everyone is pulling our credit reports to see our credit history. Your credit report can be quite violating, kind of like being in front of a crowd with no clothes on. With your credit no longer being a secret and a intricate part of our lives, the question is does past credit mistakes really ever go away? 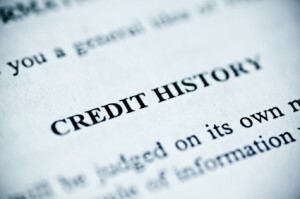 The credit bureaus say that some past credit history goes away after 7 years. Some debts don’t to away until you pay them off, especially debts owed to the government. Let’s assume you have old collections on your credit report that fall into the 7 year rule with the bureaus. You pull your credit report and notice a collection that is well over 7 years old and you are still getting calls for this collection as well. What do you do? The first step is to dispute the collection with the credit bureaus that is still reporting the collection. When you dispute the collection, you dispute the fact that the collection has expired. Within 30 days the collection will be removed. So yes, after 7 years of collection calls and being told no, your collection will eventually go away. This is granted that the bureaus have removed that collection, but in some cases you will need to dispute that collection to get it removed. I wrote an article a while back on collections and when they expire. Go to collection expirations article. I would recommend reading this article after you have pulled your credit report. If you find some collections on your report have expired, dispute them with our online resource. Does Bad Credit Affect our Economy? Did you think that your bad credit score might affect our economy or somebody else? If you thought this, your thoughts were correct. Let’s use some logic here. If your credit score is bad, this means you did not pay someone a debt owed which may have caused that company or person not to pay somebody else. I am sure people typically don’t think of this, but your bad credit and bad decision making caused a big part of what is currently going on in our present day economy. When matters get bad it’s so typical of everyone to blame someone else. The fact of the mater is you are responsible for your own actions. Don’t blame it on the economy, or that you lost your job. Everyone is supposed to have 6 months savings in the bank for job loss or issues resulting in a down economy. Any financial advisor will tell you this. Like I have said in other articles we need better education of financial accountability in our schools and homes. When people don’t pay there bills it affects everyone. Remember this, and don’t buy stuff you cannot afford or don’t need. I know we live in a materialistic world, but if you think about it, all this stuff really is not ours. We are just stewards of it. The bad decisions you make will ultimately affect other people. Before you embark on bad decision making, think again how that might affect others down the road. I know the current media is making the banks out to be the bad guy, but ultimately we are responsible for what we do. Remember these companies that lend money are in business to make money, not to give you loans and credit cards for free. If you don’t want to get in debt which ultimately causes credit issues, don’t get stuff you cannot afford to pay back. I would recommend getting with a financial advisor today to get your finances in order before it’s too late. Your resource for credit reports, credit cards, loans and ground breaking credit news. Getting the best rate on your mortgage loan can mean a difference of thousands of dollars over the life of your loan, so it’s worth your time to show that lender that you’re a good risk and deserve the lowest rate. 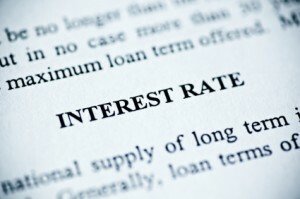 In general, there’s a 1 ½% difference between the highest and lowest interest rates offered. And on a loan of just $100,000 that 1 ½% means a difference of $26,888 over a 30 year loan. The primary criteria in determining the rate you’ll pay is, of course, your credit score. Since the mortgage crisis hit, lenders don’t even want to talk to you unless you have a score of 620 – and then you’ll qualify at the highest rate. In order to get the best rates, you’ll need a score of 740 or more. So your first step when thinking of a home purchase should be to get a copy of your credit report, with scores, and read it carefully. Industry experts admit that over 70% of all credit reports contain errors – and those errors could lower your scores and cost you money. Be on the lookout for anything that doesn’t belong on your report, or is incorrect. Check to see that your name is spelled correctly and that every previous address really is one of yours. Make sure your spouse’s name is listed correctly. And of course, check to see that every account listed really is yours. Verify that the account numbers are accurate, as well as the names of the creditors. This is not just a good credit practice. By monitoring your credit report regularly, you’ll catch telltale signs of identity theft, and be able to nip it in the bud. If you do find an error, file a dispute and get it corrected. This is an easy process to begin now that all three credit bureaus have online systems for error reporting. But it does take time, so don’t wait until you’re ready to apply for a loan. Once you know your credit score, work to improve it and do nothing to lower it. Try not to apply for any new credit in the months or year prior to making application for a home loan. 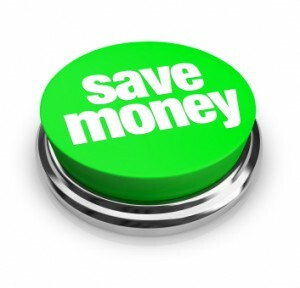 Pay down credit card balances and/or transfer balances so that no account shows more than 30% usage. Put off buying a new car until after your home loan is in place. And of course, be sure you pay every bill on time and never overdraw your checking account. Another way to secure the best mortgage rate is to make a large down payment. The more you have invested in your purchase, the less risk you pose, so banks are willing to give you a better rate. Plus, if you’ve made a down payment of 20% or more, you’ll be exempt from paying for mortgage insurance – and that’s another large savings. CreditScoreQuick.com your resource for credit reports, credit cards, loans and ground breaking credit news…. The New GFE – A Help or a Hindrance to Homebuyers? As of January 1, mortgage lenders have been required to use a new Good Faith Estimate (GFE) produced by the Department of Housing and Urban Development. According to government reports, and some consumer advocates who haven’t been subjected to use of the form, the new GFE (Good Faith Estimate) is just what home-buyers need – it simplifies and standardizes the fees that mortgage lenders charge and makes it easy to compare costs between lenders. But once again, we see rules and forms being written by people who haven’t had the experience to know how those rules and forms will affect consumers. 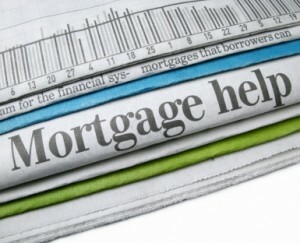 It is true that all mortgage lenders have to use the same form now. But conscientious lenders are also using their own “old” forms in order to show consumers the truth of what they’re paying for. The new GFE lumps fees and costs together in a manner that prevents the buyer from knowing exactly what’s included. It is also true that once the lender has entered his or her fees on the GFE and the buyer has agreed to them, they can’t change. So there are no last minute increases in fees. There’s even a limit on how much “estimated” fees such as appraisals and inspections can increase. But there is where the benefit stops. To begin with, because the lender is locked in to the interest rate and the fees, they won’t pre-approve a buyer and commit themselves to anything until that buyer has an accepted offer on a home. So buyers can’t go shopping with a pre-approval that would give them a better chance when negotiating for a home. 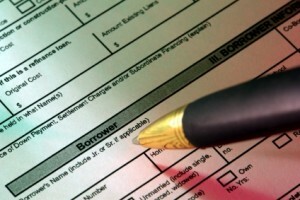 Second, many lenders will not provide the GFE until the buyer has paid for both a credit report and a loan application. That loan application could cost as much as $400. According to reports, Bank of America is now charging $300. That means the buyer cannot “shop” for the best terms on a loan without making application with several lenders – and paying application fees with several lenders. So before shopping for your home, call a few lenders and ask about their policies. Find out if you can make application without a fee. Then keep a list of those lenders who don’t charge an application fee – so you’ll be ready to shop for a loan just as soon as you have an accepted offer on a home. It stands to reason that they need to check your credit scores before committing to an interest rate and fees, so you’ll need to pay for that everywhere you go. But I’ve never heard of anyone charging more than $60 for this, and many charge far less. CreditScoreQuick.com your resource for credit reports, credit cards, loans and ground breaking credit news. With all the changes currently in the mortgage industry inflicted by government regulation, you would begin wonder what happened to “Free Enterprise.” I personally have been in the mortgage business for 7 years and have watched a major transformation of how business is conducted for the worst. I am not saying there is anything wrong with some regulation to protect the consumer, but there is something wrong when government tells you whom you will do business with. “That my friends”, is a step in the wrong direction. The federal government has no business telling me whom and where to send my appraisal business to. I am referring to the new HVCC law that requires all lenders to run all appraisal activities through a non affiliated management company. Which by the way I have been told plays the buddy system. I have heard they run there appraisals with the guys they have relations with. Here are the big problems with this system. I have talked to several appraisers asking them how business was going with this new system. Here is what I was told. “I have signed up with as many Management companies as I could and have not received one order.” What does this tell me? These companies are more than likely playing favorites. This happens when companies have this kind of control. If you were to do a survey with everyone in the mortgage and real estate industry you will find that most don’t agree with this new reform. I am going to give a video link to what is going on with this new system and how it’s bad for our country. There is also a link on this site where you can sign a petition to stop this new law. SEE BELOW…. I do understand why they did this from bankers prospective, but there has to be a better way to control over inflating values of homes. This particular new rule is not the solution to the problems of the past. This new reform has created more problems than solutions. My number one question would be, how much regulation does the appraisal management companies have? The Federal Government, in an effort to “simplify and streamline” use of short sales and deeds in lieu of foreclosure, has set forth new guidelines that will take effect on April 5. The new program, called The Home Affordable Foreclosure Alternative Program (HAFA) is attempting this “simplification” via 43 pages of guidelines and forms. HAFA will apply only to loans not owned or guaranteed by Fannie Mae or Freddie Mac. They are expected to present their own version of HAFA in the near future. Servicers participating in HAMP will be required to comply with HAFA and to produce a written policy in accordance with their investor guidelines. HAMP is the earlier program – the Home Affordable Modification Program. From all reports, HAMP has aided very few homeowners. According to reports in Bloomberg and the Huffington Post, fewer than 10,000 homeowners had seen principal reductions in their mortgages as of December 2009. Instead, 70% have seen their principal balance increase as lenders tack on fees and delinquent amounts. As of December only 66,465 had been approved for permanent loan modification. More troubling, some homeowners have lost their homes to foreclosure while being assured that they were in the process of obtaining a loan modification. Borrowers will receive pre-approved short sale terms before listing the property – including the minimum net proceeds required by lender. 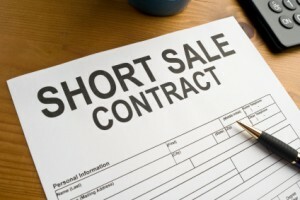 One feature which could be counter-productive is the short sale pre-approval. Having a set minimum is beneficial if home prices remain stable or increase, but they may be headed for further decline. Thus, if it takes a few months to secure a buyer, the home may have lost value in the marketplace. In honor of Valentine’s Day, it’s time to think about love – and money. Spending money can be a powerful attractor when seeking a mate, but money is also the leading cause of divorce in the U.S., so it’s good to think twice before being swept off your feet by financial displays of affection. The suitor who always arrives with flowers and whisks you off to exclusive clubs may be sinking deep into debt to do so. And the girl who always wears an expensive new dress for your dates may be doing the same. The fact is, financial compatibility is one of the most important factors in selecting a life partner. If you save and he spends, or if you want to indulge yourself and he says “No way,” the honeymoon will end quickly. So, if you’re beginning to think that your current flame may be “the one” it’s time to get serious – and talk about money, even if it’s difficult. As open as Americans are about every other detail of their lives, this seems to be the one subject that people don’t want to discuss. Find out how he feels about saving – for your future children’s educations, for your retirement, even for vacations. Talk about budgeting and learn how she feels about doing without something today in order to have something else tomorrow – rather than having it all right now via credit cards. Find out if your future partner is in debt right now, and if so, to what extent. Does he carry balances on a handful of credit cards? If so, is he getting them paid down, or are the balances growing? Has she paid off her school loans? Ask your sweetheart to show you his or her credit scores – even though that is a closely guarded secret for many people. If those credit scores are poor, you might want to put off the wedding while your future partner works to raise them. You may not have a desire to use credit right now, but at some point in the future you’ll probably want to own your own home – and if your fortunes are tied to someone with low credit scores, you may not qualify. And if you do, you’ll pay a much higher interest rate on your home mortgage loan. Learn your own credit scores right now – order your free credit report today and see where you stand. You never know, your Valentine might ask to see your scores. If you’ve ever thought about the reasons why the U.S. is in the middle of a mortgage crisis right now, you’ve probably come up with a variety of reasons. Some insist that it was the lax loan guidelines, some say sub-prime loans, others say adjustable rate mortgages, while others blame predatory lenders. But one underlying reason is that many people took on loan payments that they simply could not afford. Granted, some became unable to pay because the domino effect of the mortgage crisis either rendered them unemployed or they had their wages cut. But others couldn’t afford both the payments and their preferred lifestyle from the very first. Why, then, did they get the loans? Because their mortgage lender told them they could afford it, and they didn’t stop to think about the sacrifices they might have to make in order to meet that monthly payment. 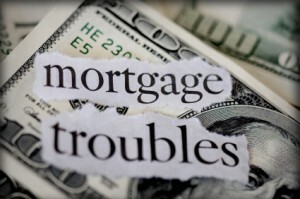 If you stop to think about it, a mortgage lender can’t possibly know what you really can afford. He or she can tell you what you cannot afford, if your debt to income ratios don’t fit the guidelines. But since you only tell the lender about obligations that will show up on your credit report, there could be a lot of expense in your life that the lender knows nothing about. So listen to what the mortgage lender tells you, then take those figures and add in the expenses for things that bring joy to your life. Look at your budget yourself and decide if you really want to spend 28% of your pre-tax income on a home. If it means you have to give up going out to dinner and a movie on Friday night, or drop the season pass to the ski hill or the golf course, is that OK with you? If it means you’ll have to keep driving your old car for a few more years, will you be happy? You should aim for a mortgage payment that you can pay comfortably – not one that means you’ll give up everything else you enjoy in life, and not one that means you’ll be unable to put any money into a savings account. If you use your own common sense and buy only what you can afford with the income you make today, you’ll be in no danger of losing your home to this crisis. And…you’ll be extremely happy a few years from now when your income has gone up. Once you’ve decided on your maximum payment, your mortgage lender can help you determine the top dollar you should pay for a home after considering the principal, interest, taxes, insurance, and mortgage insurance. Before the proliferation of sub-prime lending, creative financing, zero down loans, and high-risk ARM’s, consumers with small down payments could look to FHA for a home mortgage loan. Back then it was understood that the borrower needed to have 5% of the purchase price for a down payment – as opposed to 20% for a Conventional loan. Sellers were allowed to pay a good share of the closing costs, and the homes had to meet certain standards. The idea was that a borrower with a small down payment probably wouldn’t have extra cash on hand to make repairs, so unless they were getting a rehab loan, the house had to be in good condition. Now that sub-prime and other creative lending programs have disappeared, banks are requiring down payments much like they did before it all started – and FHA loans are once again becoming the mortgage of choice for consumers without large bank accounts. However, the programs in place today are destined for alteration. Borrowers with less than 20% down must pay an upfront mortgage insurance premium of 1.75% of the loan value, in addition to a monthly premium of ½ of 1%. Mortgage insurance is required on all loans – FHA or Conventional – when the borrower has invested less than 20% of the purchase price as a down payment. It drops off after a number of years and when the loan balance reaches 79.9% of appraised value. 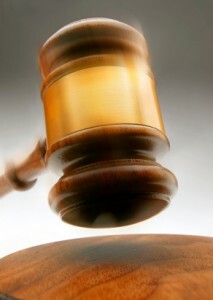 At present, sellers are allowed to pay up to 6% of the purchase price in buyer’s closing costs. According to a January 20, 2010 press release, on April 5 the upfront mortgage insurance premium will increase from 1.75% to 2.25%. Also, by mid-summer seller concessions will be reduced from 6% to 3%. Under the new rules, borrowers with credit scores of 580 and above will be able to get a home mortgage with 3.5% down – provided, of course, that their debt to income ratios are in keeping with the guidelines. Those with scores under 580 will be required to make a 10% down payment. According to the January 20 Press Release from HUD <http://portal.hud.gov/portal/page/portal/HUD/press/press_releases_media_advisories/2010/HUDNo.10-016>, other changes are in the planning stages or will soon be implemented. One thing is clear – we don’t know what changes will be coming next, or how soon the reduction in allowable seller concessions will occur. That means that consumers who are considering buying with a FHA loan this year should probably do so before April. At the very least, they’ll save one-half of one percent in up-front mortgage insurance premiums. On a $100,000 loan, that’s $500.